LONDON (Sputnik) - The United Kingdom will impose tariffs on food imports in case of the no-deal Brexit scenario in order to secure "robust" protection for local farmers, UK Secretary of State for Environment, Food and Rural Affairs Michael Gove said on Tuesday. "In particular, you [UK farmers] have argued that we need tariffs on sheep meat, beef, poultry, dairy, both milk and cheese; and pig meat in order to safeguard our valuable domestic production. Your concerns have been absolutely heard and announcement on new UK tariffs in a no deal scenario — with specific and robust protections for farming — will be made shortly," Gove said in his speech to the National Farmers Union (NFU). London does not plan to lower standards when negotiating post-Brexit trade deals, the minister noted. "We will use all the tools at our disposal to make sure the standards are protected and you are not left at a competitive disadvantage … NFU advocacy has helped guarantee consistent levels of cash support for farming until 2022 — a more durable guarantee than any other EU nation currently enjoys," Gove added. This comes after in January, UK retail giants, including Marks&Spencer, KFC and McDonald’s, have warned lawmakers that a no-deal Brexit will cause major disruptions in the food supply chain, leaving shelves empty. Another concern, retailers said, is import tariffs which will go up in the event of a no-deal exit, driving up food prices. Only 10 percent of imports are currently subject to duties under the World Trade Organization rules. 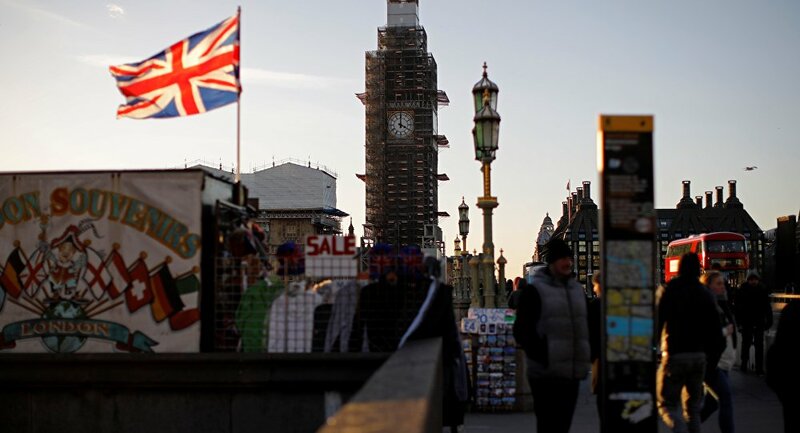 The United Kingdom is set to leave the European Union on March 29, but UK Prime Minister Theresa May has so far failed to secure the parliament's approval for the divorce agreement negotiated with Brussels, which could potentially lead to a no-deal Brexit. May will meet with President of the European Commission Jean-Claude Juncker in the Belgian capital on Wednesday, Margaritis Schinas, a spokesman for the European Commission, said earlier in the day.